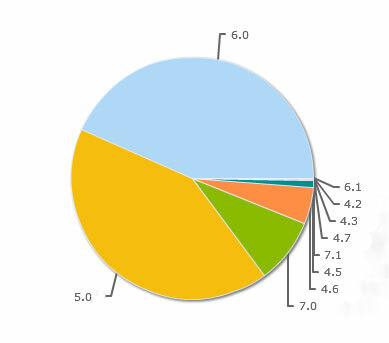 Beginning 2012 I was wondering what is the OS distribution now with the BB OS 7.0 devices in the wild and especially since I wanted to do updates only for the devices running BB OS 5.0 and up. 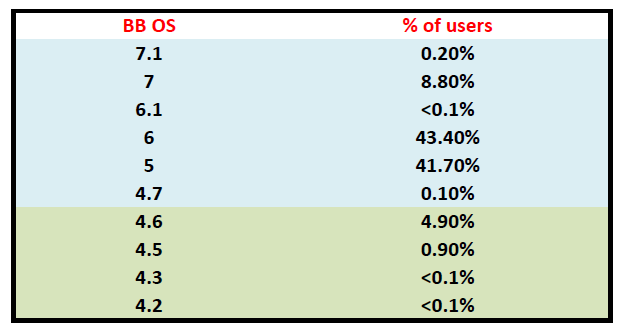 Making devices that run OS below 5.0 to be about 5-6% of all the devices. Of course this data is based on the users who use this specific app, but I am almost positive that this is pretty close to the generalized numbers.